This fall, celebrate Family Health and Fitness Day USA on September 29. Celebrated annually on the last Saturday in September, this event was created by the Health and Information Resource Center in 1996 as a way to get people of all ages physically active. Events are hosted at community sites all over the country. People of all ages and skillsets can participate — so there’s no excuse for you and your family to sit on the sidelines during this Family Health and Fitness Day USA. ​Due to a recession, this decade saw educational institutions cut many physical fitness programs. Congress amended the Federal Education Act in order to end gender discrimination in school gym classes. ​The Presidential Fitness Test Award helped measure kids' physical fitness. ​Round Hill School in Northampton implemented physical education as an important part of its program. ​This included gymnastics and hygiene — among other things. Possible activities include taking a dance class, going rock climbing, enjoying a bike ride outside, or going roller blading. You’ll get health and fitness benefits without making it feel like a chore. Post fliers at schools, coffee shops, and churches — and try and get your community to come together and make positive health and fitness changes. Kickball games, dance lessons, kickboxing sessions, or ice skating lessons are great physical activities. Enjoy the breeze as you do yoga outdoors; get some vitamin D as you do a hiking scavenger hunt; hide healthy gifts such as essential oils, jump ropes, bagged trail mix, popcorn, and granola; or relax in the sun with a tai chi class. ​A staggering amount people — 80.2 million over the age of six, to be exact — are physically inactive. Approximately $117 billion in healthcare costs are connected to physical inactivity due to the many health risks associated with it (diabetes, obesity, heart disease, etc.). ​Illinois, Hawaii, Massachussetts, Mississippi, New York, and Vermont are the only states that require students in K-12 to participate in physical education. ​Approximately one-third of high school students spend three or more hours on a school day playing computer or video games. Children spend about 7 1/2 hours per day in front of a screen (televisions, computers, phones, video games, etc.). Approximately 13.7 million children and 93.3 million adults suffer from obesity. 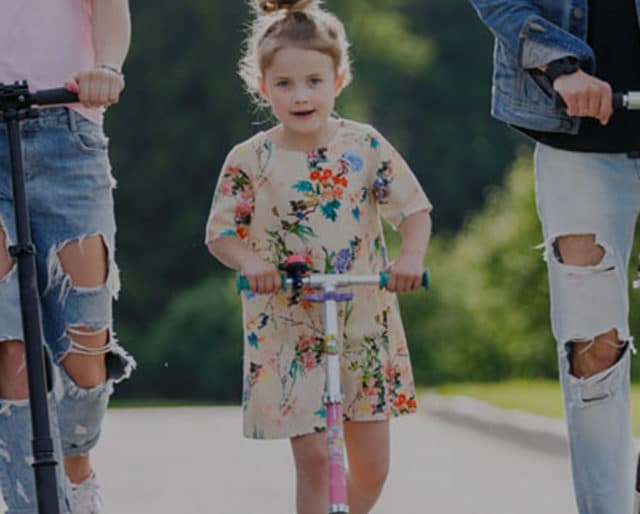 But thanks to Family Health & Fitness Day USA, events such as physical activities, health screenings, and health workshops take place across the country — helping you to lead a healthier life. Check out the parks, schools, hospitals, malls, and health clubs in your community on this day. They’re most likely offering physical activity events, such as walk-a-thons, dance classes, low-impact exercises, and sports games. Whether you eat a healthy dinner together, play a game, participate in a relay race, or simply go for a walk in a local park, doing something together as a family is a bonding experience.